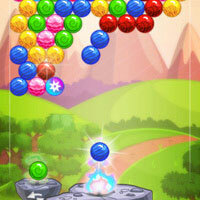 A casual game playable online on mobile phone or tablet. Shoot bubbles and combine three or more bubbles of the same color together to remove them. Try to clear the field and get the highest score.